WELCOME TO BROADLEY CONSTRUCTION IN ROSSENDALE QUALITY JOINERY AND GENERAL BUILDING SERVICES Established for 35 years, we are a professional joinery, building and construction company based in Rossendale. We provide all construction and general building work in Rossendale and surrounding areas... OUR APPROACH From start to finish all work is carried out with the customers needs in mind and the utmost professionalism. We work to the highest standards and pride ourselves in delivering a first class service. We are based in Rossendale but cover all surrounding areas providing all general building and construction work. StyleHaus Design Ltd brings 30 years of design experience accross retail , commercial, and residential to the domestic Architectural and interior design sector. 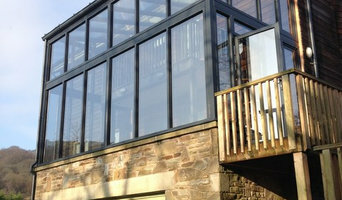 We specialise in the design and build of contemporary extensions loft conversions , garden rooms and total makeovers. All schemes are project managed by ourselves and are undertaken by our own team. 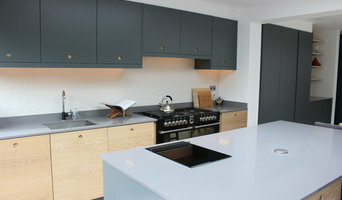 We also handle planning and building regulations work where required. ABS Construction Services provides a full range of construction services from small building alterations, kitchen and bathrooms through to large extension, refurbishment and new build projects, for both residential and commercial clients. 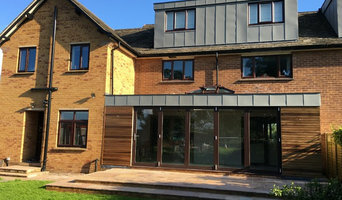 With offices based in Chester covering the entire Cheshire area we utilise our 20 years of construction experience and skills to deliver the highest quality finish, on time and within budget. We undertake and manage all aspects of the building project from design and groundwork, to exact kitchen and bathroom specifications right down to the very last touch of paint. For peace of mind we are covered by full public and employer’s liability insurance as well as registered with the Federation of Master Builders and TrustMark associations. To discuss your project or any other enquiries, please contact our team today. Founded in 1980 as a small landscaping company we are now Lancashire’s biggest and best architectural salvage yard with a large and constantly changing stock of reclaimed materials and unique items We stock bricks, slates, stone flags, heads and sills, ironmongery, doors, garden ornaments, fireplaces, oak beams, radiators, yorkstone, new and old flooring materials, statuary. Whether you are looking for a period bath, fireplace, sundial, grand entrance or simply inspiration, Ribble Reclamation has something to suit all needs. You may have seen us on the HISTORY Channels ‘Seeking Salvage’,we have been involved in two series of the show featuring ourselves and Beeston Reclamation. The show followed the deals that we made, the problems we encountered and some very interesting characters along the way. We also appeared in ‘Trash to Treasure’, an ITV re-version of the show. Property maintenance services including renovation work, plastering, tiling, joinery, painting, kitchen design & fitting, fitted bedrooms, flooring. Commercial property maintenance contracts for letting agents, hotels, shops, industrial units, offices. Based in Lancashire, our services cover the whole of the North West. we are a construction company offering the very best in design and construction, from small domestic projects to commissioned developments and redevelopments including Super Homes, Commercial Projects and Bespoke Projects of every Specification. Spencer Weston is revered as one of Cheshire's leading property development, construction and investment companies. A design and build company does pretty much what it says on the tin – designs and builds your home; helping you design your own house from scratch, pick out the small details and actually bring your dream home to life. They will take on the responsibility of planning the project, drawing up the designs, costing, sourcing the building materials and supplies, building the structure, installing any permanent features and possibly advising on the interior design of your home; all while consulting you every step of the way. 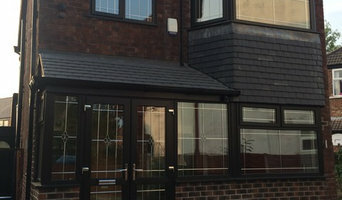 A design and build company in Manchester will usually employ in-house architects to handle all of the technical design aspects of your renovation or build, whether that’s to design a house or just a kitchen, and will also have main contractors or project managers that will oversee the construction work. The project managers will either work with external building contractors or construction companies, or the design and build company may employ their own builders to carry out the construction work. Either way, all the work is managed by one company and so this means communication is easier and the work is more streamlined. You’ll probably have just one design and build contract, making responsibility simpler and clearer, and also reducing costs for you. However, you should always check this design and build contract closely to see exactly what the firm is agreeing to take responsibility for, so that you don’t get left in the cold at any point. You don’t have to build your own home to hire a Manchester design and build firm. If you are renovating one or a few rooms of a house, a design and build company in Manchester can still help you – they can design a kitchen, bathroom, bedroom or living room and then complete all of the renovation work for you. This could be a really good option if you are selling your home and want to increase its value quickly – hire a design and build firm in Manchester to redesign and renovate a few rooms of your house without the hassle of dealing with various professionals or the time-consuming effort of doing it yourself. If all of this sounds ideal, then start searching for design and build procurement companies in Manchester that can design a house, or room, for you and discuss design and build contracts with you. If you want to look for more specialised contractors, designers, architects or builders to help you renovate or build your own home, then you can still find them on Houzz. Here are some related professionals and vendors to complement the work of design & build: Interior Designers, Landscape Architects & Garden Designers, Architects & Building Designers, Photographers. How long have you been an established design and build company in Manchester? Find a design and build company on Houzz. 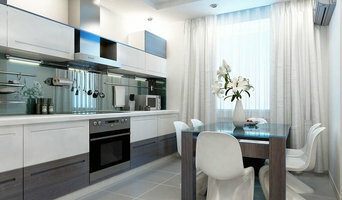 Narrow your search in the Professionals section of the website to Manchester design and build contractors. You could also look through Manchester photos to find a project you like, then contact the design and build company in Manchester that created it.